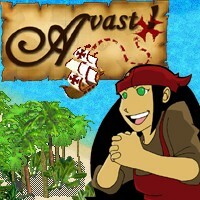 High adventure, turn-based strategy on the high seas! Position your fleet against brigands and scallywags of all types as you sail the treacherous oceans harvesting items, racing to goals, collecting treasure and scuttling your opponents' ships. Play through 50 unique levels with multiple game endings, or gather your motley crew for multiplayer fun in Skirmish mode! Full of rich art and inspiring music, Avast! offers hours of simple but fun gameplay for all ages! login to post comments | download Avast! query: INSERT INTO accesslog (title, path, url, hostname, uid, timestamp) values('Avast! ', 'node/1452', '', '3.80.224.52', 0, 1556143689) in /home/surelion/public_html/drupal-4.6/includes/database.mysql.inc on line 66.